A. 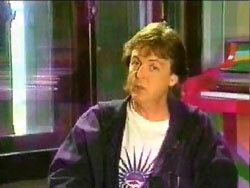 Title: Paul Is Live in Concert on the New World Tour. Released: Monday 21 March 1994. 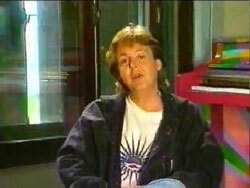 Paul McCartney plugs the German release of Paul Is Live! on VHS and CD-Video. Captures of item B courtesy of Carsten K.
The Beatles on DVD © 2017 Bamiyan. Last revised on 27 June 2014.